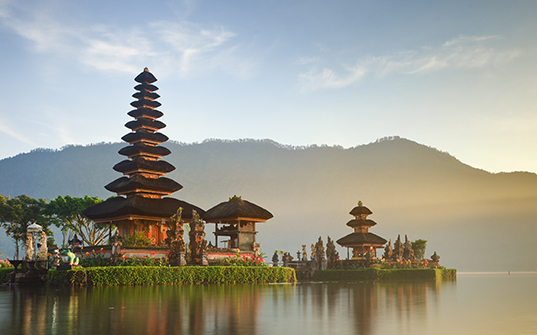 From serene beaches to beautiful temples and rice paddies, Bali is a perfect holiday destination. 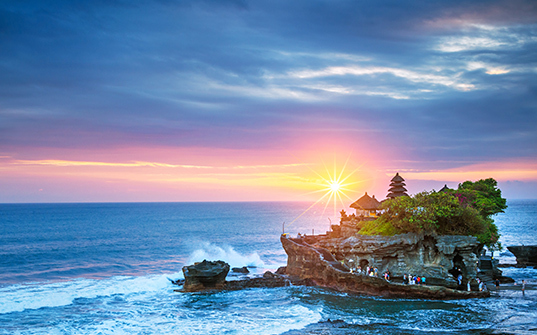 Bali offers a treasure trove of scenic spots for nature and adventure lovers. Explore rice terraces as they glide down the lush green hillsides and the intricately designed Buddhist temples. The pristine beaches of Bali are perfect for relaxation and rejuvenating. Indulge in water sports such as skurfing, jet skiing, deep diving among others for an adventure-filled day. 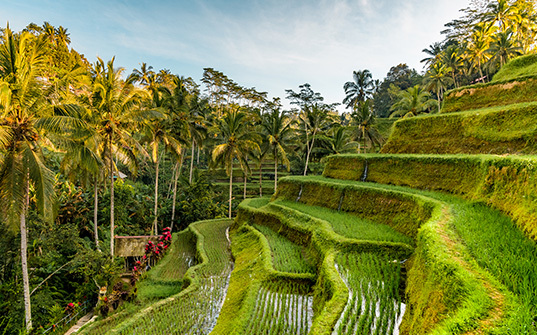 From nature lovers to adrenaline junkies, there is something for everyone in Bali. Breakfast at hotel. The tour will visit TAMAN AYUN Royal Family Temple in Mengwi, then drive up to BEDUGUL-an attractive mountain resort located about 1100 meters above sea level. There lies tropical market and an ancient Lake Beratan with its magnificent “floating” Ulun Danu Temple dedicated to the goddess of the water dwelling in this area. Drive up Drive down to TANAH LOT-a spectacular temple built in the 17th century, on top of rock about 200 meters offshore. The whole compound will turn into a wonderful silhouette as the sunset right behind the temple, one of the most photographed temples on the island - for good reason. Breakfast at hotel. Pick up for Tanjung Benoa – known for its spot of Water activities. It just next to Nusa Dua complex to the north. Here you may experience yourself of many kinds of water activities such as parasailing, donat boat, fly fish, jetski, banana boat ride, glass bottom boat and many more. (Water activities on personal account)Continue drive up to PANDAWA BEACH a new developing beach with spectacular amazing views from the top and crystal clear. There are 5 statue of Pandawa that carved along the wall. 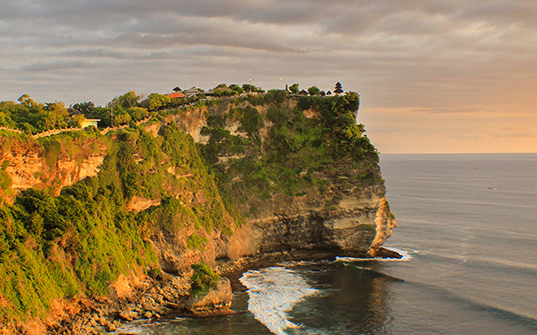 Proceed to Uluwatu - one of the most stunning temples in Bali, populated by a friendly tribe of monkeys. This cliff top temple, dedicated to the spirit of the sea, has spectacular views and is popular for viewing sunsets. Return to hotel. Breakfast at hotel. Check out at 12.00 noon and proceed to airport for flight home. Terms & Conditions: - Rates are subject to availability - Itinerary is subject to change / swap without any prior notice - There will not be any refund for any unutilised service or sightseeing - In case of unavailability in mentioned hotels, alternate accommodation will be arranged in a similar category hotel - Any meals and services unless mentioned in the itinerary are not included - You are fully responsible for verifying and obtaining the documents required for your trip and visa - Check in 30 NOV & check out will be 03 DEC - Check In to the hotel is always 1400/1500 hours & Check Out is always 1100/ 1200 Hours. 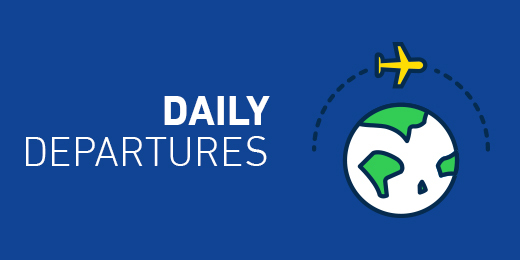 Early Check in and late checkout is subject to availability - Fix Departure date, no amendment and changes possible. Note: Rates are subject to availability at the time of confirmation. 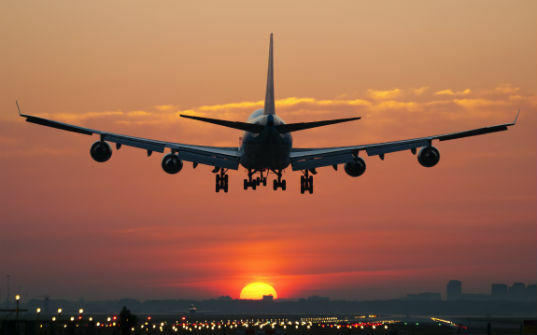 Passport & UAE Residence Visa must be Valid up to 6 Months from the date of travel. Visa approvals are subject to embassy’s decision.